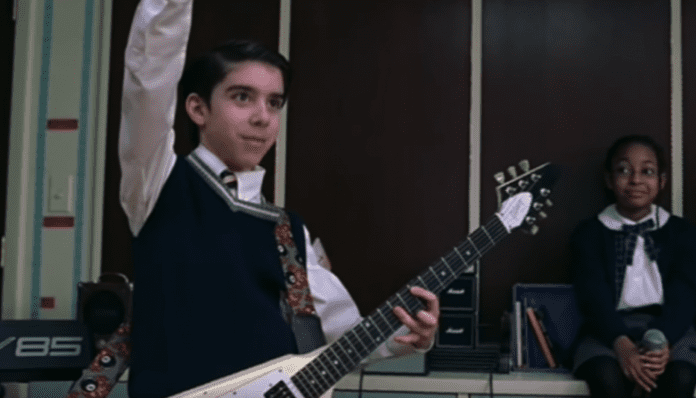 UPDATE: MARCH 5, 2019, 6: — P.M.
Now facing four felonies for stealing multiple guitars and an amp, footage of School of Rock star Joey Gaydos Jr. actually shoplifting equipment has surfaced online. In the video, Gaydos can be seen walking slowly around the store strumming a guitar before making off with merchandise. Venice police allegedly released the video to their Twitter in hopes to catch Gaydos. According to TMZ, Gaydos was eventually caught by employees at Sam Ash Music Store in Sarasota, FL on Feb 11. Allegedly, the employees recognized him from the police footage above. ORIGINAL POST: MARCH 5, 2019, 11:17 P.M.
School of Rock star Joey Gaydos Jr. is now facing felony charges in Florida for larceny and grand theft after cops busted him for four times in five weeks for allegedly stealing guitars and an amp. You may remember Gaydos as the young guitarist Zack “Zack-Attack” Mooneyham in Jack Black’s film School of Rock. According to TMZ, it looks like Gaydos hasn’t quite given up the rock dream just yet. Authorities state the former child star has been walking into stores asking to test out guitars. He would then walk out of the shop, guitar in hand, and attempt to sell them at pawn shops. Allegedly, Gaydos made off with a blue Les Paul Epiphone valued at $800, a black Fender Stratocaster worth $699, and a Gibson Les Paul gold top worth $1,900. He was also busted stealing an amplifier. Cops tell TMZ that Gaydos confessed and blamed his actions on a drug problem. Once in court however, he enter a not guilty plea over the guitars, and has not yet given a plea in regards to the amp case. A sizeable group of the movie’s stars—now all grown up, of course—are “still together” and hanging out on the eve of New Year’s Eve. That’s right! 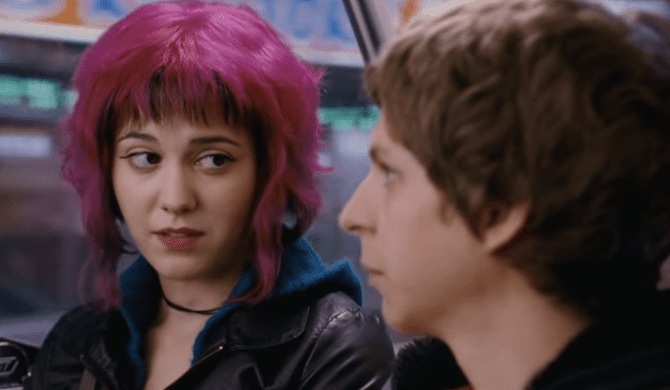 Actress Caitlin Hale, who played cool choir girl Marta (“Blondie”) in the now-classic film, shared an Instagram shot of her and six other School Of Rock castmates cavorting at an eatery in New York City the day before New Year’s Eve. “Seven School of Rockstars walk into a bar,” Hale captioned the pic. She’s shown with co-stars James Hosey (Marco), Brian Falduto (Billy), Becca Brown (Katie), Zachary Infante (Gordon), Aleisha Allen (Alicia) and Angelo Massagli. But she’s not the only School Of Rock cast member that shared proof of the 15-year reunion, BuzzFeed reports. Infante also snapped a photo of the meeting that missed out on Black and band manager Summer (Miranda Cosgrove). And it looks like at least one School Of Rock cast member is still keeping tabs on Mr. Jack Black. Back in November of last year, Becca Brown shared a quick pic of herself with the popular Hollywood actor, which can be seen directly below.